Want this Debbie Harry canvas in a different size? Check our sizes and prices. Easy to use hanging kit and care instructions also included. 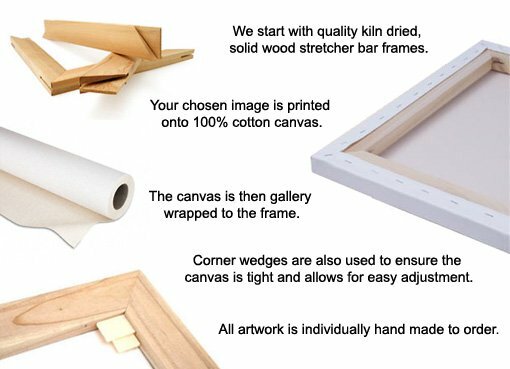 The canvas is gallery wrapped to the frame and will arrive at your home ready to hang. 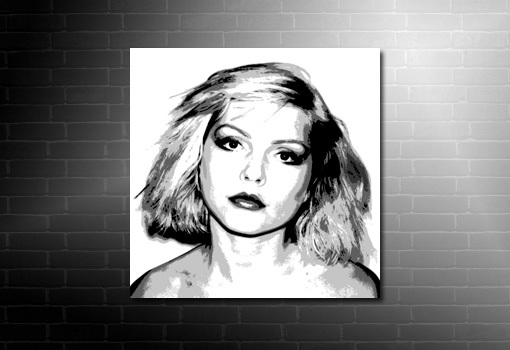 This Debbie Harry canvas has been produced with extra attention to detail paid to the Blondie singers eyes and lips and finished in rich black and white. Move your mouse over the image to zoom in and see close up details. The materials used are sourced from 100% United Kingdom sources. Including pine wood stretcher bars frames. We print onto 100% cotton canvas using the finest light resistant inks.